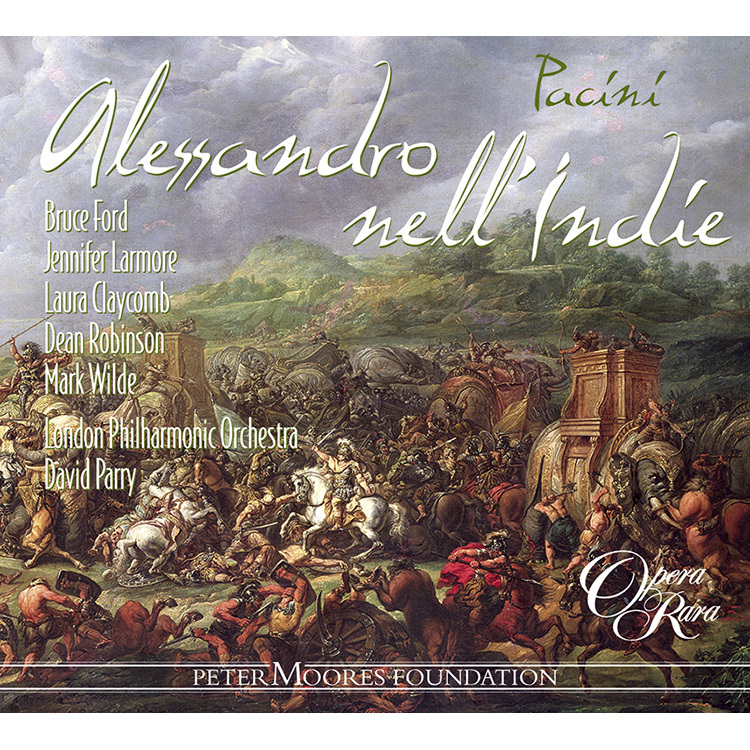 Alessandro nell’Indie tells the story of Alexander the Great’s campaign in India, of his defeat of the Indian king Porus (Poro), and of his infatuation with an Indian queen, Cleophes (Cleofide). It is a vehicle for gorgeously over-the-top bravura singing as the characters confront each other, deceive each other, reproach each other, plead with each other. The premiere of Alessandro nell’Indie in Naples in 1824 brought Pacini one of the most anxious evenings of his career. The audience sat on its hands, unwilling to approve or disapprove until it had heard the music a second time. Indeed, at the end of the evening the balance appeared to be dipping in the composer’s disfavour, for ill-suppressed hissing circulated around the auditorium. The eventual success was owing to the personal intervention of King Ferdinand IV at the second performance. He led the applause, so ensuring a triumph that kept the opera on the boards for months and established Pacini as one of the city’s favourite composers. 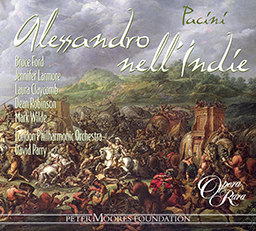 A re-handling of a libretto by the 18th-century dramatist Metastasio, Alessandro nell’Indie tells the story of Alexander the Great’s campaign in India, of his defeat of the Indian king Porus (Poro), and of his infatuation with an Indian queen, Cleophes (Cleofide). It is a vehicle for gorgeously over-the-top bravura singing as the characters confront each other, deceive each other, reproach each other, plead with each other. Seemingly inevitable tragedy is finally averted as they vie in displaying idealistic generosity, fidelity and magnanimity. Alessandro, determined not to be outdone, becomes the quintessential 18th century ‘benevolent despot’. 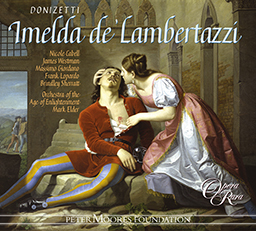 07 Alessandro nell’Indie: Act I scena III: Recitative: Giorno terribile di duol, d’affanno! 22 Alessandro nell’Indie: Act I scena X: Finale: Monarca, il duce Asbite – scena XI: Poro! 28 Alessandro nell’Indie: Act II scena I: Strepito d’armi! 36 Alessandro nell’Indie: Act II scena X: scena and Aria: Che mai fu? ? Oh stelle! 41 Alessandro nell’Indie: Act II scena XI: scena and Aria: Poro infelice! a che ti giovo mai – scena XII: Sei ti, mio Re! 43 Alessandro nell’Indie: Act II scena XIV: Signor, fermati ? ascolta ? Alessandro (Alexander the Great), in his conquest of India, twice – Metastasio says several times – overcame Poro (Porus), one of the kings of the area. On the first occasion he spared him, and gave him back his kingdom. The opera opens after Poro, far from showing gratitude, has openly rebelled and again been defeated. During this campaign, Alessandro is also believed to have fallen in love with Cleofide (Cleophes), a queen of another part of the region, who, some believe, bore him a son. Metastastio suppresses this last detail, and suggests instead that she was deeply committed to – in effect already married to – Poro. In Cleofide’s palace, on the banks of the River Hydaspes, her followers pray to Vishnu to deliver them from the invading Greeks. Cleofide herself tries to bolster their failing morale, but is deeply anxious regarding Poro’s fate. Fleeing soldiers bring news that the Indian forces have been utterly defeated. When asked about Poro, they simply say that he vanished in the thick of the fray. Cleofide orders them to return to the battlefield to search for him. Gandarte, Poro’s general, comes to reassure her that Poro has survived, and within moments the Indian king himself appears. Highly suspicious and jealous by nature, he bitterly bids Cleofide rejoice, for Alessandro’s victory means that she will soon have all his Asian trophies laid at her feet. Cleofide hastens to justify her conduct: if she has pretended to be flattered by Alessandro’s attentions, it has only been to protect Poro and to deflect Alessandro from invading his territories. Poro, at least briefly persuaded of her sincerity, swears that he will never suspect her again. Alessandro, with typical generosity, releases a group of his most illustrious prisoners, but when Cleofide responds by sending them back with the announcement that she herself will wait upon him to pay homage, Poro is once again consumed by his jealous suspicions. He determines to follow her to the Greek camp. In his camp on the opposite bank of the Hydaspes, Alessandro welcomes a cessation of combat and confides in his friend Timagene that he has fallen in love with Cleofide. Cleofide herself appears, bringing costly gifts. Alessandro, however, brusquely rejects them. If she comes as a subject, he asks no other homage than loyalty; if she comes as a friend, he exacts no price for his friendship. Rebuked but undaunted, Cleofide at his request stays to converse with him, and they proceed to manoeuvre around each other, each trying to gain an advantage. Alessandro is fast succumbing to her charms when Timagene announces that a commander named Asbite wishes to speak to him in Poro’s name. This proves, not surprisingly, to be Poro himself in false guise. Cleofide sees all the progress she has been making rapidly undermined, for ‘Asbite’ declares that Poro utterly rejects any overtures of peace and challenges Alessandro to return to the field. As if this is not provocation enough, ‘Asbite’ also advises that Cleofide should not be trusted, for, he claims, she is already guilty of betraying Poro. The act ends with Cleofide suppressing her indignation, and Alessandro and all the fuming Greeks panting to do battle once more. Cleofide declares that she no longer opposes Alessandro’s crossing the Hydaspes: he will be welcome upon her territory as her guest. On Cleofide’s side of the Hydaspes, where she has erected buildings and tents to accommodate Alessandro and his army. She greets Alessandro and the advance guard of his forces as they cross a bridge over the river, but their exchange of courtesies is interrupted by a clash of arms. Poro’s forces, led by Gandarte, have attacked the column, and are trying to cut off the Greeks’ retreat. The Greeks, however, retain the upper hand, and Gandarte, hard pressed, throws himself into the river. Poro, meanwhile, though still uncertain of Cleofide’s fidelity, once more allows himself to be won over by her protestations. Their reconciliation is, however, interrupted by the approach of the Greeks. Poro suggests that, rather than be taken prisoner, they should die together. He seizes a dagger and is about to slay her, when Alessandro arrives in time to stay his hand. To save her lover, Cleofide passes him off, not as Poro, but as Poro’s faithful agent, come to carry out his master’s instructions that she should die. Alessandro, appalled at such barbarity, has Cleofide escorted away to safety, and Poro’s agent (i.e. Poro) taken into custody. In Cleofide’s palace. Gandarte has been rescued from drowning, and Cleofide urges him to flee: if he, too, should be taken prisoner, there will be no one left to lead the Indian resistance. He has no time to do so – no opportunity to do anything but conceal himself – before Alessandro appears. 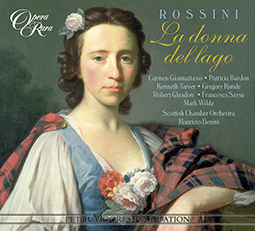 Alessandro informs Cleofide that the Greek army is clamouring for her blood, and proposes, as the only possible way of saving her, that he should marry her. The marriage should, moreover, take place immediately. This is too much for Gandarte, who bursts from cover, declaring that he is Poro, and that, since he is the one who has stirred up the Indians’ resistance to Alessandro, he, rather than Cleofide, is the one who should die. Filled with admiration for this gallant gesture, and believing that he is talking with Poro, Alessandro reciprocates by relinquishing his claims upon Cleofide and delivering her back to this man whom he believes to be her lover. Left with Gandarte, Cleofide is just beginning to thank him for his generous intervention when a procession of maidens appears. They are in mourning, and announce Poro’s death: despite the shackles that weighed him down, he threw himself into the Hydaspes and was swept away by the current. Cleofide, disconsolate, looks forward to death as a release from her sufferings and as a way of rejoining Poro. Gandarte, left alone, is amazed to see Poro approaching, rescued from the river and still very much alive, though despairing to think that he has lost his kingdom yet again. Gandarte seeks to console him by pointing out that he still has the loyalty of Cleofide and himself. Alessandro is surprised to receive word from Cleofide that, now that Poro is dead, she is prepared to give him her hand. A temple of Bacchus. Gandarte and Poro have heard that Cleofide is to marry Alessandro, and Poro determines to slay her before she can do so. He and Gandarte conceal themselves. Alessandro and Cleofide arrive with all their followers, ostensibly to go through with the marriage ceremony, but Cleofide scores a veritable coup de théâtre when she declares that this is a time for death, not for love. Indian custom demands that a faithful widow be burnt alive upon her husband’s funeral pyre, and she has come hither to immolate herself to the memory of Poro. Poro, who had been on the very point of stabbing her, is overcome by such an irrefutable demonstration of her fidelity, and, stepping forward, proposes that they should die together. Gandarte’s protests that this is some impostor – that he himself is Poro – are swept aside: Poro is now recognised as Poro by one and all. Alessandro is so impressed by this excess of generous feeling in a people he had considered barbarian that, determined not to be outdone, he gives Poro back both wife and kingdom, and bestows upon Gandarte the kingship of certain lands he has conquered beyond the Ganges. The opera ends as all celebrate and hymn his clemency and magnanimity. Zwei Mal besiegte Alessandro (Alexander der Große) bei seiner Eroberung Indiens König Poro (Poros), einen mächtigen indischen König, laut Metastasio gar mehrmals. Beim ersten Mal verschonte er ihn und gab ihm sein Königreich zurück. Die Oper beginnt, als Poro mitnichten Dankbarkeit bezeigt, sondern sich vielmehr offen gegen Alessandro erhebt und erneut besiegt wird. Während dieses Feldzugs soll Alessandro sich auch in Cleofide (Cleophes) verliebt haben, die Königin eines benachbarten Reichs, die ihm nach Meinung einiger Historiker sogar einen Sohn schenkte. Metastasio hingegen vertritt die Ansicht, sie sei ausschließlich Poro verbunden und gar bereits mit ihm verheiratet gewesen. In Cleofides Palast am Ufer des Flusses Hydaspes betet ihr Gefolge zu Vishnu, sie von den vordringenden Griechen zu erlösen. Cleofide versucht, ihnen neuen Mut zuzusprechen, doch ist sie selbst zutiefst besorgt wegen Poro. Fliehende Soldaten übermitteln ihr die Nachricht, dass die indischen Truppen eine verheerende Niederlage erlitten haben. Auf die Frage nach Poros Verbleib sagen sie nur, er sei im Getümmel verschwunden. Cleofide befiehlt ihnen, zum Schlachtfeld zurückzukehren und ihn zu suchen. Gandarte, Poros General, kommt hinzu und versichert ihr, dass Poro noch am Leben ist, und fast im selben Augenblick tritt der König selbst auf. Er ist von Natur aus misstrauisch und eifersüchtig und erklärt Cleofide verbittert, sie solle frohlocken, denn Alessandro werde ihr nach seinem Sieg sicherlich bald all seine indischen Trophäen zu Füßen legen. Rasch rechtfertigt Cleofide ihr Verhalten: Sie habe nur vorgegeben, sich von Alessandros Aufmerksamkeiten geschmeichelt zu fühlen, um Poro zu schützen und den Griechen davon abzuhalten, sein Reich zu überfallen. Poro zeigt sich zumindest kurzzeitig von ihrer Aufrichtigkeit überzeugt und gelobt, ihr nie mehr zu misstrauen. Mit der ihm eigenen Großmut lässt Alessandro eine ganze Reihe hochrangiger Gefangener frei, doch als Cleofide die Männer zu ihm zurückschickt mit der Nachricht, sie werde ihm persönlich aufwarten, um ihm die Ehre zu erweisen, erliegt Poro wieder seinen eifersüchtigen Verdächtigungen und beschließt, ihr ins Lager der Griechen zu folgen. In seinem Lager am gegenüberliegenden Ufer des Hydaspes äußert sich Alessandro erfreut über das Ende der Kämpfe und gesteht seinem Freund Timagene, dass er sich in Cleofide verliebt habe. Da tritt sie selbst hinzu und will ihm prächtige Geschenke überreichen. Doch die weist er barsch zurück. Wenn sie als Untertanin gekommen sei, erklärt er, so fordere er keine andere Ehrbezeugung als ihre Treue; sei sie jedoch als Freundin gekommen, verlange er für seine Freundschaft keinen Preis. Cleofide zeigt sich unerschrocken und bleibt auf seine Bitte hin zu einem Gespräch bei ihm, und sie umgarnen sich gegenseitig im Versuch, einen Vorteil über den anderen zu erringen. Alessandro erliegt zunehmend ihrem Charme, da verkündet Timagene, ein Kommandant namens Asbite verlange, im Namen Poros mit ihm zu sprechen. Der Kommandant erweist sich natürlich als kein anderer als Poro selbst. Hilflos muss Cleofide mit ansehen, wie alles, das sie bislang erreicht hat, zunichte gemacht wird, denn „Asbite“ erklärt, Poro lehne jedes Friedensangebot ab und fordere Alessandro heraus, aufs Schlachtfeld zurückzukehren. Und damit nicht genug, „Asbite“ behauptet zudem, Cleofide sei nicht vertrauenswürdig und habe bereits Poro hintergangen. Cleofide unterdrückt ihre Empörung, während Alessandro und alle Griechen darauf brennen, wieder in die Schlacht zu ziehen. Cleofide erklärt, sie lehne Alessandros Überquerung des Hydaspes nicht mehr ab, vielmehr sei er in ihrem Reich als Gast willkommen. Auf Cleofides Seite des Hydaspes, wo sie Zelte und Gebäude errichtet hat, um Alessandro und seine Armee zu beherbergen. Sie begrüßt Alessandro und den Vortrupp seines Heeres bei der Überquerung der Brücke, doch ihr Austausch von Höflichkeiten wird von Waffenklirren unterbrochen. Poros Truppe unter der Führung Gandartes hat die Kolonne angegriffen und versucht, den Griechen den Rückzug abzuschneiden. Doch die Griechen gewinnen erneut die Oberhand, und angesichts dieser ausweglosen Lage wirft Gandarte sich in den Fluss. Poro ist sich Cleofides Treue nach wie vor nicht ganz sicher, lässt sich von ihren Beteuerungen jedoch auch dieses Mal beschwichtigen. Allerdings wird ihre Versöhnung durch die heranmarschierenden Griechen unterbrochen. Überzeugt, dass der Tod besser sei als eine Gefangenschaft, holt Poro mit dem Dolch aus, um Cleofide zu töten, doch Alessandro tritt rechtzeitig hinzu, um ihm die Waffe zu entwenden. Um ihren Geliebten zu schützen, gibt Cleofide ihn als Poros getreuen Boten aus, der gekommen sei, um den Befehl seines Herren, Cleofide müsse sterben, auszuführen. Entsetzt ob solcher Grausamkeit führt Alessandro sie in Sicherheit und lässt Poros Boten (also Poro selbst) in Gewahrsam nehmen. In Cleofides Palast. Gandarte ist aus dem Fluss gerettet worden, und Cleofide drängt ihn zur Flucht: Sollte auch er festgenommen werden, wäre niemand mehr da, um den Widerstand der Inder anzuführen. Doch zum Entkommen bleibt ihm keine Zeit mehr, er kann sich nur noch rasch verbergen, ehe Alessandro erscheint. Dieser erklärt Cleofide, dass die griechische Armee ihr Blut fordere; ihre einzige Rettung bestehe darin, ihn zu heiraten, und zwar auf der Stelle. Das ist zuviel für Gandarte, der aus seinem Versteck springt, verkündet, er selbst sei Poro, und da er die Inder zum Widerstand gegen Alessandro aufgestachelt habe, müsse er sterben und nicht Cleofide. Voll Bewunderung für diese galante Geste vergilt Alessandro Gleiches mit Gleichen und, im Glauben, dass er mit Poro redet, verzichtet er auf seinen Anspruch auf Cleofide und gibt sie dem Mann zurück, den er für ihren Geliebten hält. Cleofide bleibt allein mit Gandarte zurück und will ihm soeben für sein großherziges Eingreifen danken, als ein Zug von Jungfrauen erscheint. Sie sind in Trauer und beklagen den Tod Poros: Trotz der Fesseln, die ihn banden, habe er sich in den Hydaspes geworfen und sei von den Fluten fortgerissen worden. Verzweifelt beschwört Cleofide den Tod herbei, der sie von ihrem Leid erlösen und mit Poro wieder vereinen werde. Gandarte bleibt allein zurück und sieht zu seinem Erstaunen Poro näher treten, der aus dem Fluss gerettet wurde, allerdings verzweifelt ist, dass er sein Königreich erneut verloren hat. Gandarte will ihn mit der Versicherung trösten, dass Cleofide und auch er ihm treu ergeben seien. Überrascht vernimmt Alessandro, dass Cleofide nun, da Poro tot ist, bereit ist, ihm ihre Hand zu schenken. Ein Bacchus-Tempel. Gandarte und Poro haben soeben erfahren, dass Cleofide Alessandro heiraten soll. Poro ist entschlossen, sie vorher zu töten, und er und Gandarte verstecken sich. Alessandro und Cleofide treten mit ihrem Gefolge auf, vorgeblich, um die Trauung vornehmen zu lassen, doch Cleofide gelingt ein wahrer Coup, als sie nämlich verkündet, dies sei eine Zeit des Todes und nicht der Liebe: In Indien sei es Brauch, dass eine treue Witwe sich auf dem Scheiterhaufen ihres Gemahls verbrenne, und sie sei hergekommen, um sich im Andenken Poros zu opfern. Poro, der kurz davor stand, sie zu erstechen, ist von diesem unwiderlegbaren Beweis ihrer Treue derart ergriffen, dass er vortritt und erklärt, sie müssten gemeinsam sterben. Gandarte wiederum beteuert, dieser Mann sei ein Betrüger und er, Gandarte, sei Poro, doch diese Behauptung wird beiseite gewischt, Poro wird nun von allen Anwesenden eindeutig als Poro anerkannt. Alessandro ist derart überwältigt von dieser Großherzigkeit eines Volkes, das er für barbarisch hielt, dass er sich nicht übertrumpfen lassen will und Poro Gemahlin und Reich zurückerkennt, während er Gandarte zum König über Länder jenseits des Ganges ernennt. Die Oper endet, als alle im Jubel seine Nachsicht und Großmut preisen. Durante la conquista delle Indie, Alessandro Magno avrebbe sconfitto Poro, uno dei re della regione, ben due volte, secondo Metastasio. La prima volta lo risparmiò e gli restituì il suo regno. L’opera inizia dopo che Poro, ben lungi dal dimostrare gratitudine, si è apertamente ribellato ed è stato nuovamente sconfitto. Durante questa campagna si pensa inoltre che Alessandro si fosse innamorato di Cleofide, regina di un’altra parte della regione che, secondo alcuni, gli avrebbe dato un figlio. Metastasio elimina quest’ultimo particolare e suggerisce invece che la donna fosse profondamente innamorata di Poro, al punto di averlo sposato. Nel palazzo di Cleofide, sulle rive del fiume Idaspe, i seguaci della regina pregano Visnù di liberarli dai Greci invasori. Arriva Cleofide e cerca di risollevare il morale dei suoi sudditi, pur essendo profondamente in ansia per il destino di Poro. Alcuni soldati in fuga portano la notizia della disfatta dell’esercito indiano. Alla richiesta di notizie su Poro rispondono semplicemente che è scomparso nella mischia. Cleofide ordina ai soldati di tornare al campo di battaglia per cercarlo. Entra Gandarte, generale di Poro, e rassicura la regina: Poro è vivo e infatti sopraggiunge di lì a poco. Estremamente sospettoso e geloso per natura, invita amaramente Cleofide a rallegrarsi: ora che Alessandro ha vinto, ben presto metterà ai suoi piedi tutti i suoi trofei asiatici. Cleofide si affretta a giustificare la propria condotta: ha finto di essere lusingata dalle attenzioni di Alessandro solo per proteggere Poro ed evitare che Alessandro invada i suoi territori. Convinto, almeno per il momento, della sua sincerità, Poro giura che non dubiterà mai più di lei. Con la generosità che lo contraddistingue, Alessandro rilascia un gruppo dei suoi prigionieri più illustri, ma quando Cleofide reagisce rimandandoli indietro con l’annuncio che andrà a porgergli omaggio in persona, Poro è ancora una volta assalito dalla gelosia e decide di seguirla fino all’accampamento dei Macedoni. Nel suo accampamento sull’altra riva dell’Idaspe, Alessandro si dice lieto dell’interruzione delle ostilità e rivela all’amico Timagene di essersi innamorato di Cleofide. Entra la regina, si dichiara sua suddita e porta doni preziosi in segno di amicizia, ma Alessandro li rifiuta bruscamente. Dai sudditi pretende solo fedeltà e l’amicizia non ha prezzo. Imperterrita nonostante il rimprovero, Cleofide rimane a parlare ed entrambi cominciano a lusingarsi a vicenda, ognuno per ottenere il proprio scopo segreto. Alessandro è sul punto di cedere al fascino della donna quando Timagene annuncia che un comandante di nome Asbite desidera parlargli a nome di Poro. Naturalmente il comandante è Poro, travestito. Cleofide vede rapidamente distrutto il suo sforzo diplomatico perché Absite dichiara che Poro respinge decisamente ogni idea di pace, sfida Alessandro a tornare a combattere e, come se tutto ciò non bastasse, gli consiglia di non fidarsi di Cleofide, già colpevole di aver tradito Poro. La regina cerca di controllare la propria indignazione, mentre Alessandro e i Macedoni, ormai in preda all’ira, chiedono solo di tornare a combattere. Cleofide dichiara di non opporsi più all’attraversamento dell’Idaspe da parte di Alessandro, che sarà ospite benvenuto nel suo territorio. Sulla riva dell’Idaspe appartenente al suo regno Cleofide ha innalzato edifici e tende per ospitare Alessandro e il suo esercito. La regina saluta Alessandro e un drappello del suo esercito che attraversano un ponte sul fiume, ma lo scambio di cortesie viene interrotto dal rumore di uno scontro armato. L’esercito di Poro, guidato da Gandarte, ha attaccato la colonna e cerca di tagliare la ritirata dei Macedoni; questi ultimi mantengono la loro supremazia e Gandarte, in difficoltà, si getta nel fiume. Nel frattempo Poro, per quanto ancora incerto sulla fedeltà di Cleofide, si lascia ancora una volta convincere dalle sue proteste. La riconciliazione viene tuttavia interrotta dall’avvicinarsi dei Macedoni. Poro suggerisce di morire insieme piuttosto che lasciarsi prendere prigionieri. Afferra una spada e sta per uccidere la regina quando sopraggiunge Alessandro, appena in tempo per impedirglielo. Per salvare il suo amante, Cleofide dichiara che l’uomo è un fedele agente di Poro, che obbedisce agli ordini del re. Inorridito dinanzi a tanta barbarie, Alessandro fa condurre via Cleofide sotto scorta per salvarla e prende prigioniero il falso “agente” di Poro. Nella reggia di Cleofide. Gandarte è stato salvato dalle acque del fiume e Cleofide lo sollecita a fuggire: se dovesse essere catturato anche lui non rimarrebbe più nessuno a guidare la resistenza degli Indiani. Ma il comandante ha solo il tempo di nascondersi, perché compare Alessandro. Alessandro comunica a Cleofide che l’esercito macedone chiede a gran voce il suo sangue e propone di sposarla: è l’unico modo possibile per salvarla. Le nozze però devono svolgersi immediatamente. Questo è troppo per Gandarte, che esce dal nascondiglio e dichiara di essere Poro: è stato lui a fomentare la rivolta degli Indiani contro Alessandro ed è lui che deve morire al posto di Cleofide. Alessandro gli crede e, pieno di ammirazione per il suo gesto coraggioso, rinuncia alle proprie mire su Cleofide e la restituisce all’uomo che considera il suo amante. Rimasta sola con Gandarte, Cleofide non ha il tempo di ringraziarlo del suo generoso intervento perché viene interrotta da un corteo di Indiani in lutto, che annunciano la morte di Poro: nonostante i ceppi che lo tenevano prigioniero, il re si è gettato nell’Idaspe ed è stato portato via dalla corrente. Disperata, Cleofide invoca la morte perché la liberi dalle sue sofferenze e la riunisca con Poro. Rimasto solo, Gandarte rimane sorpreso nel vedere arrivare Poro, sano e salvo: Timagene è riuscito a soccorrerlo e a liberarlo. Poro comunque è disperato al pensiero di aver perso ancora una volta il proprio regno. Gandarte cerca di consolarlo ricordandogli che gli rimangono ancora la sua amicizia e Cleofide. Alessandro apprende con sorpresa che Cleofide è disposta a concedergli la propria mano, ora che Poro è morto. Il tempio di Bacco. Gandarte e Poro hanno saputo che Cleofide sta per sposare Alessandro. Poro ha deciso di ucciderla prima della cerimonia e si nasconde con Gandarte. Arrivano Alessandro e Cleofide con il loro seguito, ufficialmente per svolgere la cerimonia delle nozze ma, in un teatrale colpo di scena Cleofide annuncia che questo è un momento di morte e non d’amore. Secondo la consuetudine indiana una vedova fedele deve morire sulla pira funeraria del marito ed è questo che lei intende fare. Poro, sul punto di pugnalarla, è sopraffatto da una tale dimostrazione di fedeltà e si fa avanti per morire insieme a lei. Nonostante le proteste di Gandarte, che continua a sostenere di essere lui il re, tutti ormai riconoscono il vero Poro. Alessandro è talmente colpito dall’estrema generosità di un popolo da lui considerato barbaro che, deciso a non essere da meno, restituisce a Poro la moglie e il regno e nomina Gandarte re di alcune terre da lui conquistate al di là del Gange. L’opera si conclude tra i festeggiamenti generali e un inno alla sua clemenza e magnanimità. Durant sa conquête de l’Inde, Alessandro (Alexandre le Grand) a vaincu Poro (Porus), l’un des souverains de la région, à deux reprises – plusieurs, prétend Métastase. La première fois, Alessandro a laissé la vie sauve à Poro et l’a renvoyé dans son royaume. Loin de lui en être reconnaissant, celui-ci a repris ouvertement les armes et, au moment où débute l’opéra, se trouve à nouveau défait. Au cours de la campagne, Alessandro s’est épris, dit-on, de Cleofide, souveraine d’un royaume voisin qui lui aurait même donné un fils. Métastase omet ce détail et suggère, au contraire, qu’elle est entièrement dévouée, voire déjà mariée, à Poro. À l’intérieur du palais de la reine sur les rives de l’Hydaspes (Jhelam), les sujets de Cleofide prient Vishnu de les délivrer de l’envahisseur macédonien. Cleofide elle-même s’efforce de soutenir leur moral défaillant malgré ses inquiétudes sur le sort de Poro. Des soldats en fuite viennent lui annoncer la défaite totale des troupes indiennes. Interrogés sur le sort de Poro, ils répondent qu’il a disparu dans la mêlée. Cleofide leur ordonne de retourner au champ de bataille pour le retrouver. Gandarte, le chef de l’armée de Poro, apprend à Cleofide que celui-ci a survécu et, quelques instants plus tard, en effet, le voici qui fait son entrée. D’un naturel très soupçonneux et jaloux, il interdit amèrement à Cleofide de manifester sa joie, car la victoire des Macédoniens signifie qu’Alessandro ne tardera pas à venir déposer ses trophées de guerre aux pieds de la reine. Cleofide s’empresse de justifier sa conduite : si elle a feint d’être flattée par les attentions d’Alessandro, c’était seulement pour protéger Poro et empêcher Alessandro d’envahir ses terres. Persuadé, l’espace d’un instant, de sa sincérité, Poro fait serment de ne plus jamais la soupçonner. Avec sa magnanimité habituelle, Alessandro libère ses prisonniers les plus illustres. Cleofide les lui renvoie toutefois en lui faisant savoir qu’elle ira lui présenter ses hommages en personne. Repris de jalousie, Poro décide de la suivre jusqu’au camp des Macédoniens. À l’intérieur du camp qu’il a établi sur la rive opposée de l’Hydaspes, Alessandro se réjouit de la cessation des combats et confie à son ami Timagene qu’il s’est épris de Cleofide. Cleofide elle-même apparaît alors chargé de riches présents. Alessandro refuse vivement de les accepter. Si c’est en tant que nouveau sujet qu’elle se présente, dit-il, sa loyauté sera sa seule récompense ; et si c’est en amie, il lui rendra son amitié sans rien exiger. Loin de se laisser intimider par ses reproches, Cleofide répond à son invitation et reste à bavarder avec lui. Ils se lancent alors dans un jeu de manœuvres subtil, où chacun tente d’obtenir l’avantage sur l’autre. Alessandro est déjà sous le charme de Cleofide quand arrive Timagene, venu lui annoncer qu’un commandant nommé Asbite demande audience au nom de Poro. ‘Asbite’ est, en fait, Poro déguisé. Cleofide voit tous ses efforts compromis au moment où le nouveau venu annonce que Poro rejette absolument toutes les ouvertures de paix d’Alessandro et le défie de reprendre les armes. Pour comble, ‘Asbite’ conseille à celui-ci de se méfier de Cleofide, qui a déjà trahi Poro. À l’issue de ce premier acte, Cleofide réprime son indignation tandis qu’Alessandro et tous les Macédoniens brûlent de retourner au combat. Cleofide autorise désormais Alessandro à traverser l’Hydaspes et lui déclare qu’il est le bienvenu sur ses terres. De retour dans son royaume, de l’autre côté de l’Hydaspes, Cleofide fait ériger des bâtiments et des tentes pour accueillir Alessandro et son armée. Elle se porte à la rencontre d’Alessandro et de l’avant-garde de ses troupes en train de traverser le pont enjambant la rivière. Leurs salutations sont toutefois interrompues par des cliquetis d’armes. Sur les ordres de Gandarte, les hommes de Poro ont attaqué la colonne et tentent de couper sa retraite. Les Macédoniens conservent néanmoins l’avantage et Gandarte, acculé, se jette dans la rivière. Poro se laisse gagner par les protestations de fidélité de Cleofide, sans être entièrement convaincu. Leur réconciliation est de courte durée car les Macédoniens approchent. Pour Poro, mieux vaut mourir ensemble que d’être faits prisonniers. Il sort son poignard et s’apprêter à tuer Cleofide. Alessandro, arrivé sur ces entrefaites, interrompt son geste. Pour sauver son bien-aimé, Cleofide le fait passer pour un fidèle de Poro, venu l’assassiner sur les ordres de son maître. Alessandro, choqué par tant de barbarie, fait escorter Cleofide pour garantir sa sécurité et arrêter l’homme en question (Poro lui-même, en fait). À l’intérieur du palais de Cleofide. Cleofide presse Gandarte, qui a échappé à la noyade, de s’enfuir pour prendre la tête de la résistance indienne. Il n’en a pas le temps – tout juste parvient-il à se cacher – avant l’arrivée d’Alessandro. Alessandro apprend à Cleofide que les Macédoniens exigent sa mort et que le seul moyen pour lui de la sauver est de l’épouser. Ce mariage devra, en outre, avoir lieu immédiatement. C’en est trop pour Gandarte qui, se précipitant hors de sa cachette, prétend être Poro : puisque c’est lui, dit-il, qui a fomenté la résistance indienne contre Alessandro, c’est lui qui doit mourir et non pas Cleofide. Plein d’admiration pour ce geste courageux et convaincu que son interlocuteur est Poro, Alessandro rivalise de noblesse en renonçant à Cleofide et en la confiant à celui qu’il prend pour son bien-aimé. Seule avec Gandarte, Cleofide commence à le remercier pour son intervention généreuse quand arrivent des jeunes filles en procession, portant le deuil. Elles viennent annoncer la mort de Poro qui, malgré les fers qui entravaient ses mouvements, s’est jeté dans l’Hydaspes et s’est trouvé emporté par le courant. Cleofide, inconsolable, invoque la mort qui la délivrera de ses souffrances et lui permettra de rejoindre Poro. Gandarte, seul, est surpris de voir Poro s’approcher : il a échappé à la noyade et se retrouve sain et sauf bien que désespéré à l’idée d’avoir, une fois encore, perdu son royaume. Gandarte cherche à le consoler en lui disant qu’il peut toujours compter sur sa loyauté et celle de Cleofide. Alessandro s’étonne de recevoir un mot de Cleofide lui annonçant que, suite à la mort de Poro, elle accepte sa proposition de mariage. À l’intérieur du temple de Bacchus. Gandarte et Poro savent que Cleofide est sur le point d’épouser Alessandro. Poro a décidé de l’assassiner avant qu’elle ne puisse le faire. Les deux hommes se cachent. Alessandro et Cleofide arrivent accompagnés de leurs fidèles pour la cérémonie de mariage. C’est le moment que Cleofide a choisi pour livrer un véritable coup de théâtre : l’heure est à la mort, dit-elle, non à l’amour. La coutume indienne attend d’une veuve qu’elle s’immole sur le bûcher funéraire de son époux, c’est ce qu’elle entend faire, déclare-t-elle, pour honorer la mémoire de Poro. Devant cette preuve irréfutable de fidélité, Poro, qui s’apprêtait à la poignarder, cède à l’émotion et, révélant sa présence, propose de mourir à ses côtés. Gandarte l’accuse d’imposture et continue à prétendre être Poro, mais en vain : plus personne n’ignore qui est le vrai Poro. Très impressionné par cet excès de nobles sentiments chez des gens qu’il prenait pour des barbares, Alessandro ne veut pas être en reste: il rend à Poro sa bien-aimée et son royaume, et offre à Gandarte des terres conquises au-delà du Gange. L’opéra s’achève sur une célébration générale de sa clémence et de sa magnanimité.